I know, I know, he's totally evil and a total tyrant and whatnot... 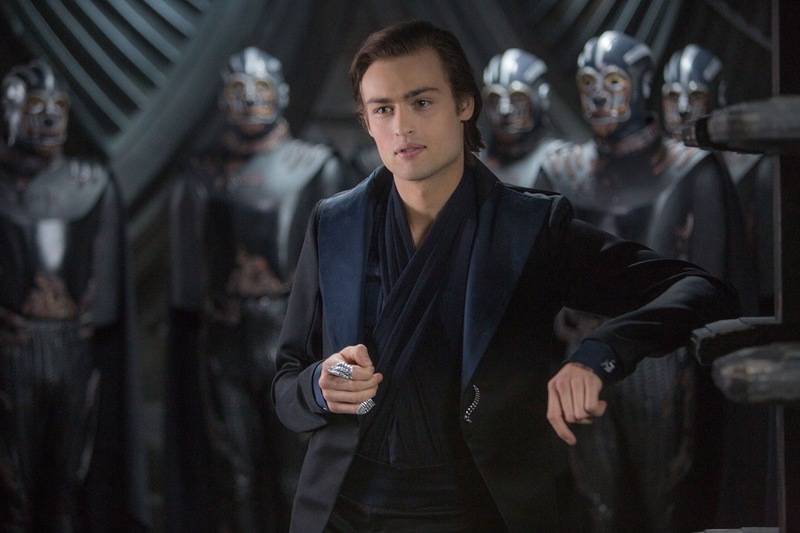 But come one, read Shadow and Bone and tell me you weren't even a little attracted to him at some point. He's such an intriguing character to me. I wanted more of him as I read this series, I wanted to learn what turned him dark, why he was so power-hungry, and how a man so intensely dangerous can also harbor a soft side born out of loneliness. He could level city after city and I'd still love him because of how interesting he is. The Darkling will always hold a place in my heart, and his scenes with Alina remind me why I love him so much. He's pained but powerful, lonely but lethal to be around, decidedly "evil" by nature but I still like to hold onto the belief that somewhere deep down inside of him is that last shred of human empathy -- because it's quite evident if you know what to look for. The Darkling is so multi-faceted and ever-enigmatic, I can't help but be drawn to him. Douglas Booth! 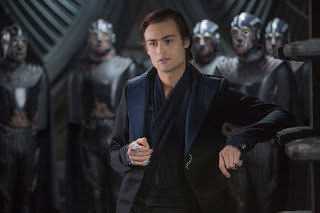 Quite the cutie with a jawline that could cut (heh), when I saw him in Jupiter Ascending I was drawing so many parallels between him and the Darkling, I knew he would be perfect for the role. "Why won't you leave me alone?" I whispered one night as he hovered behind me while I tried to work at my desk. Long minutes passed. I didn't think he would answer. I even had time to hope he might have gone, until I felt his hand on my shoulder.